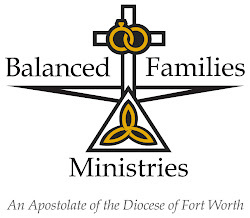 Spiritual warfare is a very real and alive thing that affects the lives of every man, woman and child of our world. Satan, the ‘prince of this world’, wants us to suffer with him in agony for eternity. This battle has left many dead and raised heroes the likes of which this world has never seen. We must decide which army we will join and fight with, the army of our Lord or the army of this fallen world we live in, because the battle lines have been drawn and our Lord warned us not to be lukewarm in our decision to fight. We cannot go through life with our feet in both courts. Dom Lorenzo Scupoli wrote a book called ‘Spiritual Combat’ in which he explains the fight that we are in and how to righteously do battle for our Lord. 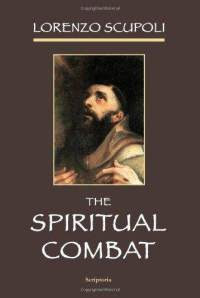 This book is full of advice on how to control our passions, complete the will of God and to decide here and now that this battle is worth fighting. 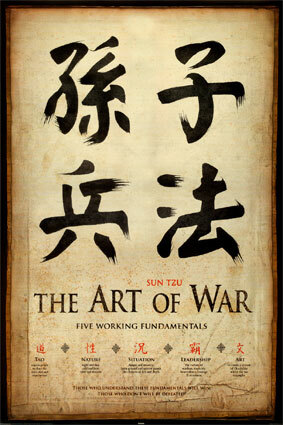 S un Tzu was a military genius; he wrote a book called The Art of War in the year 500 B.C. While his ideas of mercy, heaven, and hell do not agree with the beliefs of Catholics, his military ideals and thoughts of how to win battles are still used extensively today. In the chapter called, ‘Laying Plans’ he describes what a general needs to think about before engaging in battle with an enemy, there are 7 questions. I began to wonder, if Scupoli and Sun Tzu had a conversation about this war what would it be like? So, after diving into both books I have a clip of the conversation. All of the questions and quotes are taken directly out of each person’s book. Sun Tzu would ask 7 questions.